Our vinyl fences are tailored to meet your needs. 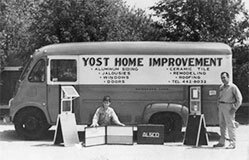 They’re offered in a wide range of styles to complement your home’s design and architecture. They’re also custom manufactured to fit your space, ensuring fence sections are proportional along the entire length of your fence and even spacing of posts. Decorative accents, including unique post and picket caps and detailed lattice, allow you to add your own personal style. 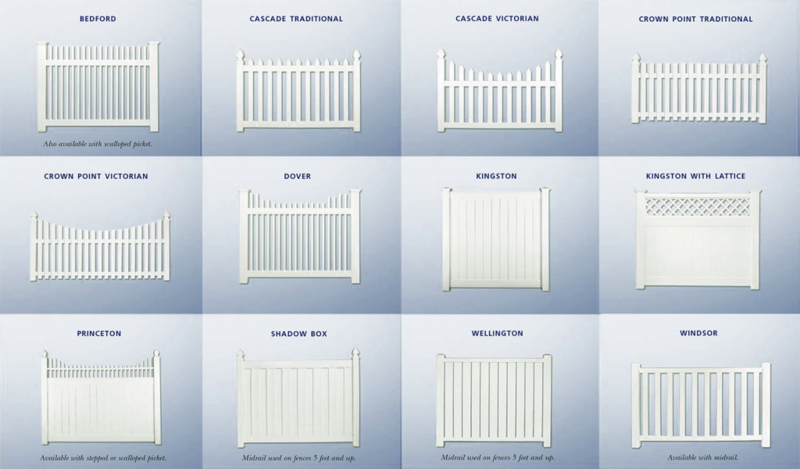 Complementary hardware options, both beautiful and durable, enhance any fence design. Our vinyl fences are virtually carefree. UV protection helps resist color fading and the surfaces are easy to clean … Just spray them with water to rinse dirt away as needed. Unlike wood, you’ll never have to stain, paint or seal your vinyl fence. The limited lifetime transferable warranty assures you worry-free enjoyment of your fence for years to come. Don’t feel fenced in by limited color choices. 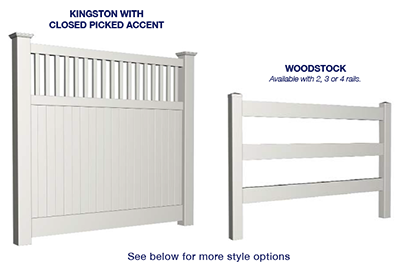 Along with white, some fence styles may also be available in Desert Tan and Clay. 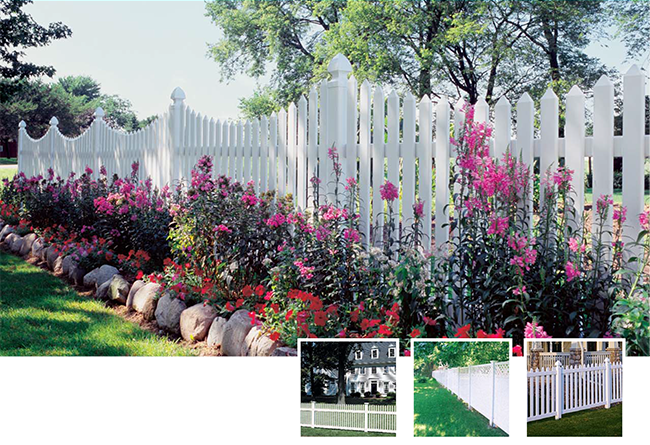 We also offer the unique option of selecting your fence in custom colors (champagne, brown, cranberry red, forest green, black and bronze) to complement any home exterior design or landscape theme. 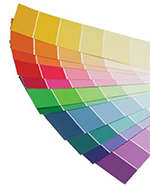 Color chips can be matched for special colors. 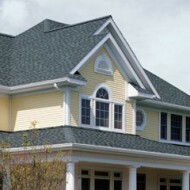 This innovative, high-performance color coating process is heat reflective, scratch resistant and does not chip or peel. Additional lead time is required for this custom option.